Today is Friendship Day! Commemorated on the first Sunday of August, we are celebrating Friendship Day 2018 on August 5 this year. What makes the day so very special is because it is about our friends, buddies, pals, besties, BFFs that complete our lives. Know what friend is called in different languages around the world. 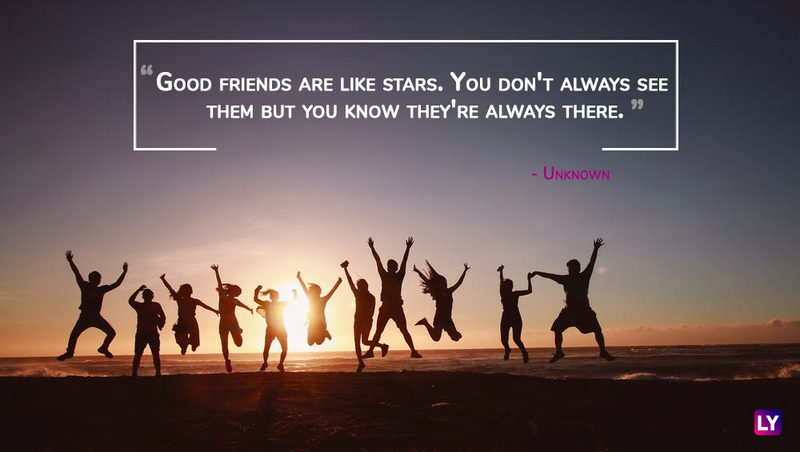 Friends are the families we choose, and they play an important part in our lives. Just imagine how dull life would get without them. From sharing stomach-aching laughter to having them by your side on the gloomiest of the days. So, how about we begin with letting these special people in our lives of their importance. We have listed down a collection of Friendship Day quotes to wish your BFF(s) a very Happy Friendship Day 2018! 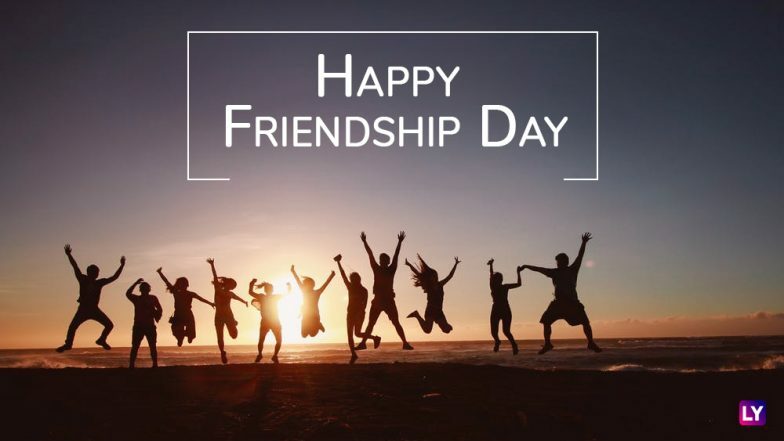 Friendship Day 2018: GIF Images, SMS, WhatsApp Messages to Wish Your Best Friends on This Special Day. From pushing your limits to giving you a reality check when one acts cocky, true and real friends will always show you the right path and be there no matter what the circumstances. The day is especially popular among the younger generation, but age is no bar. You may have found your best friend at the age of 5 or 50, you are never old enough to celebrate true friendship. As the day is in the offing, let us know in comments, the best memories or moments you've shared with your friends. Happy Friendship Day!